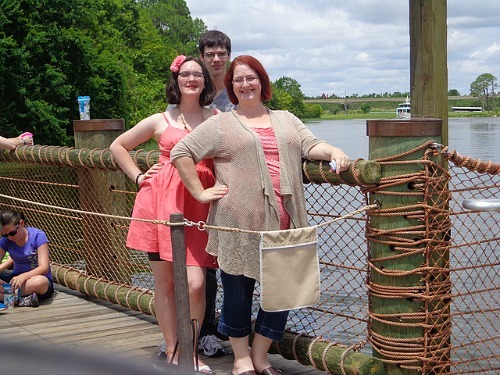 1) We travel to more than one Disney destination, and use out DVC Membership to travel to non-Disney Resorts as well. 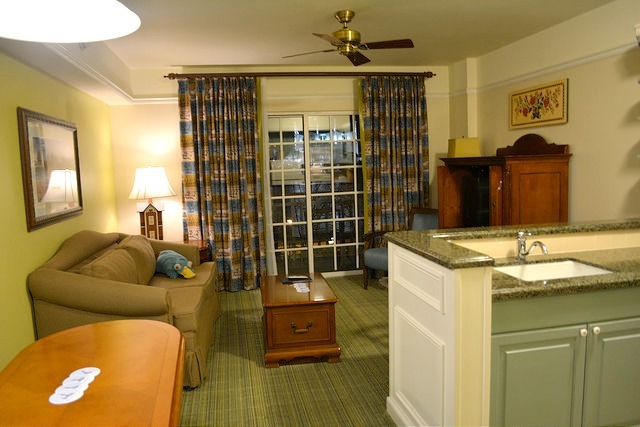 Walt Disney World, Disneyland, Disney Cruise Line, San Diego, and Chicago are just a few of the destinations that we've be lucky enough to travel to using our Disney Vacation Club Membership. Switching up the destination gives us more to explore, and less chance of getting board. 2) Individual choice is an important part of our travel, and I make sure that everyone gets some time while on vacation to do the things that they want to do most. My adult kids get involved in the planning, and have the freedom to schedule their own days. If you're kids are adults, let them act that way. 3) Sleep in. It's a luxury that most adults don't get very often. Pull the blinds to your hotel room and cancel the wake-up call, you're on vacation. 4) Be sure to eat and drink well. No matter what Disney destination we're at, good food and drink are a must. I couldn't make it through on just counter service, though at Disney it's easier than other places. Make time for good meals together, explore new flavors, and don't be afraid to imbibe if you're over 21. We always eat dinner together. 5) Bring some shopping money. There is so much merchandise at Walt Disney World everyone is bound to want something. Be sure you have budgeted enough money for souvenirs, it can be depressing and put a bit of a damper on the fun when you haven't. We started giving the kids a set amount of spending money to manage when they were about 10 years old. 6) Indulge in special experiences. Once you've got the Disney basics down, make that advanced step and start to incorporate special events and programs into your vacations. A guided tour, a dinner show, or La Nouba are all great ways to add something special for grown-ups. 7) We spend the extra money for enough hotel space. Sure, you can save money cramming everyone into one room, but tension can sometimes run high when a family is tripping over each other. Kids grow, and when they do being in a standard hotel room can get hard. 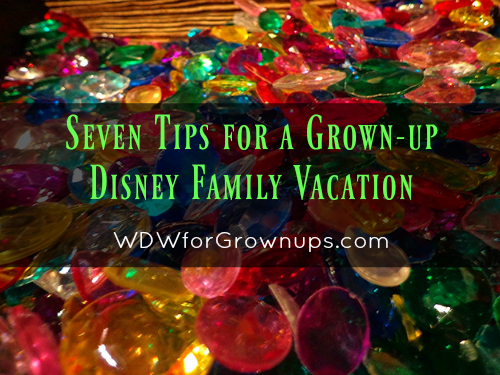 Once the kids are old enough, consider getting adjoining rooms, a family suite, or even a large DVC Villa so that everyone can have a little personal space. I eat, sleep, and breathe Disney - but it's not the only facet of our lives, and my kids have varying degrees of Disney love. That's O.K.Disney is the thing that brings us back together again, the place that we relax and reconnect away from the pressure the world puts on us all. It's not a place for family drama or arguments, it's the spot that reminds us how much we care. JMed - 23 Days until my son gets to drink around the world for the first time. He's really excited, and I must admit that I am too. Indulge in the special experiences also includes the SPA! It has changed significantly from “the place to take your kids and put up with theme-park food”, to a grand, multi-purpose resort with plenty of appeal for grown-ups.